After traveling down from Wexford to Birr on the Sunday, Monday was a day off. 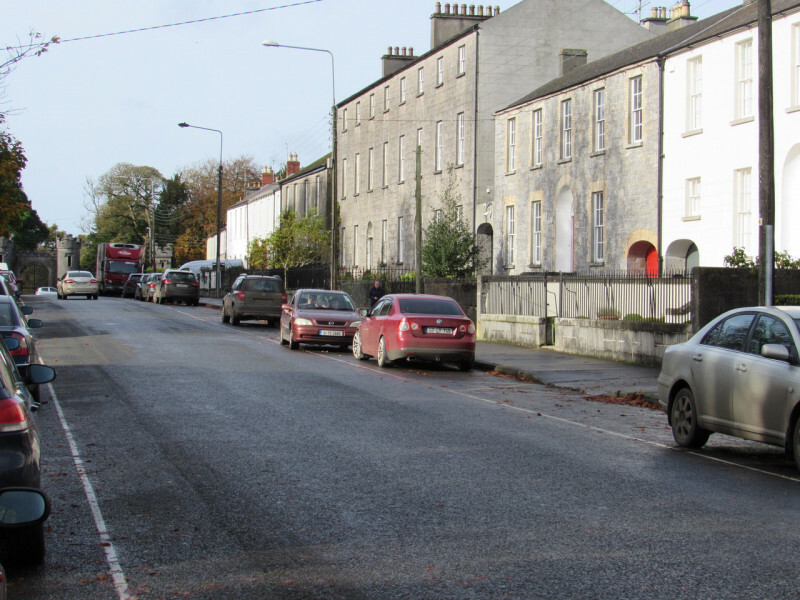 I spent the day exploring parts of Birr on my own and working on preparations for the second half of the internship. Birr is a simply stunning town, filled with Georgian architecture, but also some lovely medieval ruins when you look a little closer. 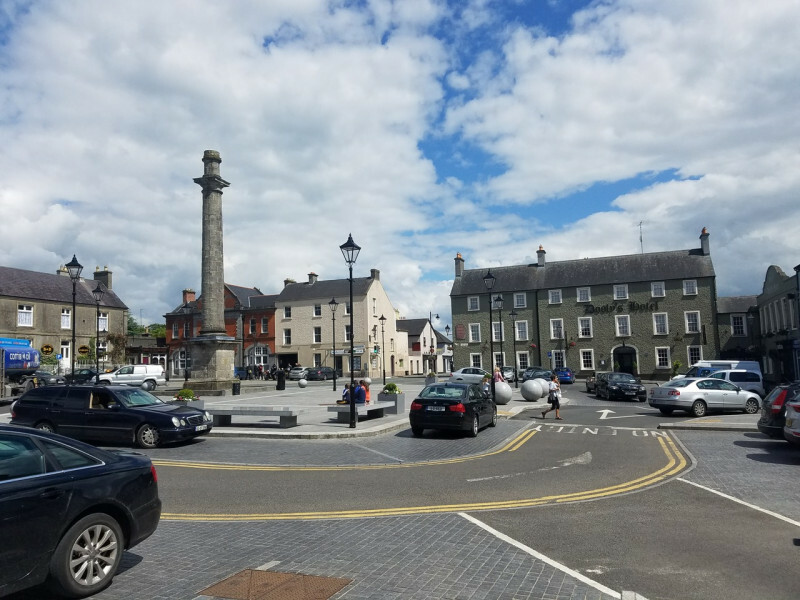 It will be quite a change being back in the centre of a town having spent the last few weeks in rural Wexford. During my travels I discovered the Irish Archaeology Field School (IAFS) Birr Office which made my Tuesday morning easier. That morning I walked down from my homestay (with a lovely lady called Mary McManus) just up from the main street and down to the office. Denis greeted me and we then went on a walking tour of the town. We spent a bit of time at the local gardening initiative, Birr Growery, which is Ireland’s first urban food commons! This initiative is a semi-public garden for the town on land that was donated by Birr Castle. The parent company of the IAFS, the Irish Heritage School, have cooperated with the Growery on past student programs, so they regularly now visit for lunches out of the office! Sadly, due to it being winter, bringing our packed lunch here most days was not an option. The rest of Tuesday was spent writing out and beginning to work through the list of jobs I will have over the coming 4 weeks. The post-excavation is varied and includes me checking all drawings, feature sheets, registered photos etc. 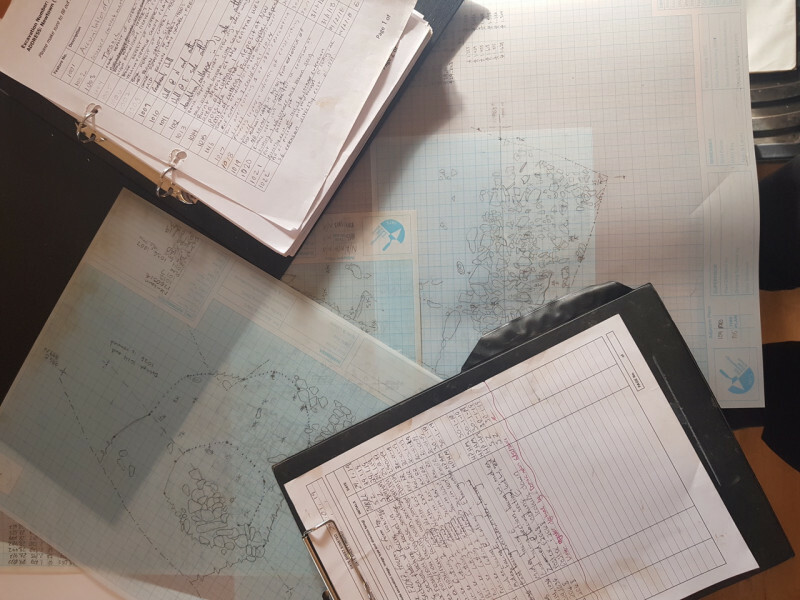 I also must process the finds register and digitise all the paperwork. As I am the only intern there is lots to do. Wednesday was spent going over the photo register. This was made easy by the fact the students had made zero mistakes. Go students! I was also treated to a hot chocolate by Denis from Emma’s café in the town. Wednesday I spent going over the sample register. I had to make sure all the sample bags registered in the register were physically there and then go through, check all details were correct, and weigh each sample. Each sample was then entered in the digital register. Processes like this, while time consuming, are an important aspect of archaeology and help to minimise human error. Thursday and Friday were spent working through my list of jobs. By Friday afternoon I had finished the feature register, the sample register for Cutting 1 and the photo register. Not bad for just the first week. I also signed up for the pool at the Birr Leisure centre. As they have month long memberships this was perfect and swimming in the heated pool in the afternoons is great to get through winter. It’s nice to be back in a town!